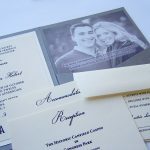 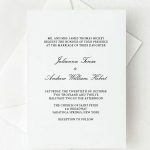 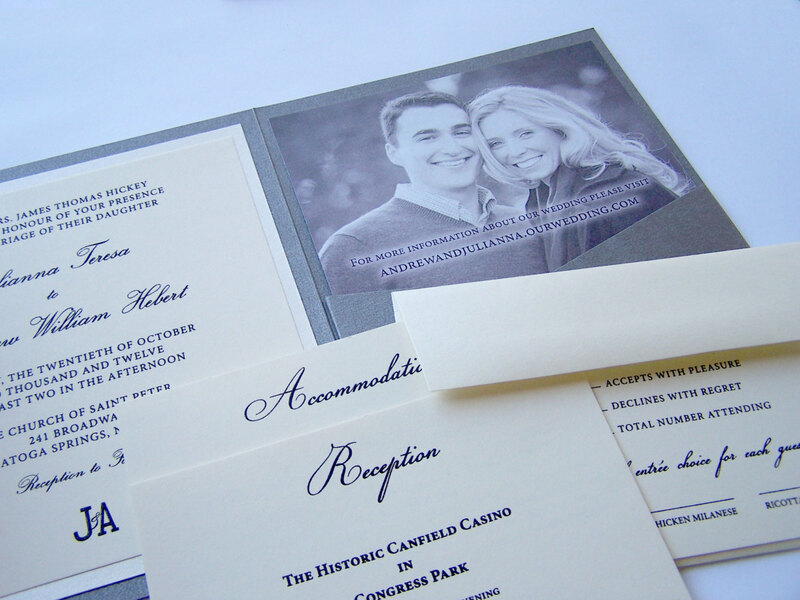 White Tie Designs introduces their Square Pocket Wedding Invitation from the Canfield Collection. 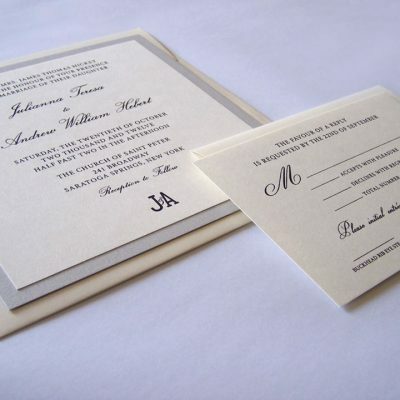 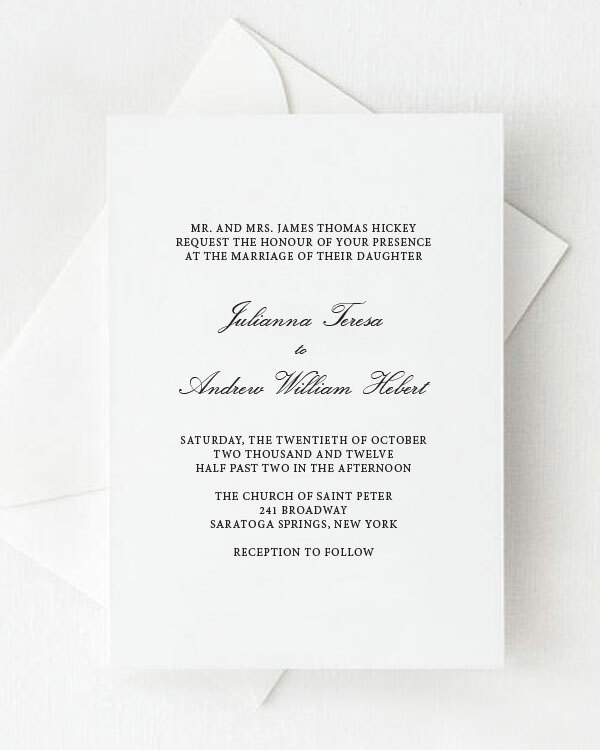 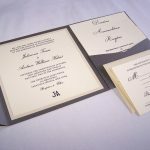 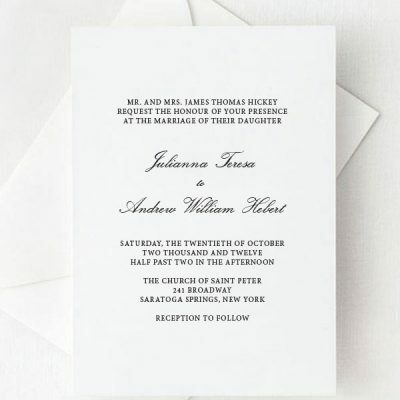 Compliment your wedding and share the all the details of your big day with this classic and timeless invitation suite. 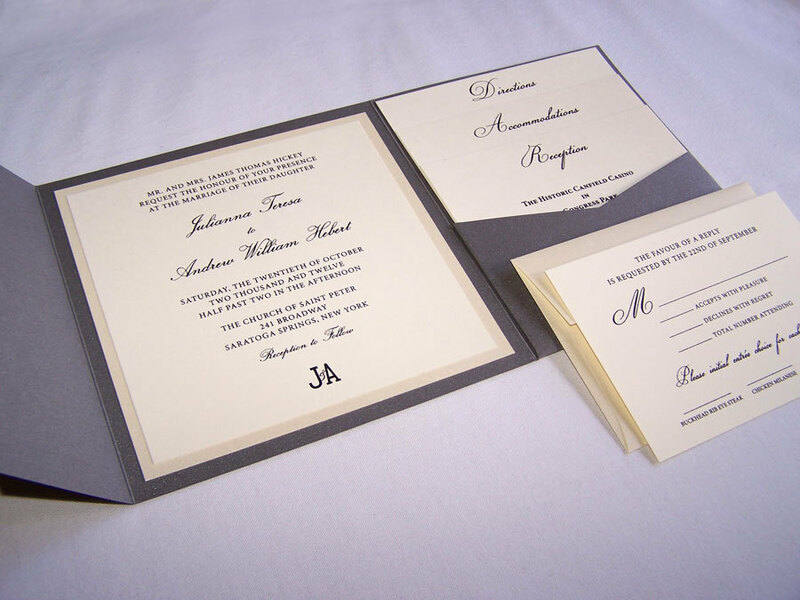 Shown with black ink, it can also be customized to any color on our color chart.